In a vote held during the first full week of fall classes, members of City College’s faculty union AFT 2121 voted in approval of a tentative agreement that was reached in mid-July. The deal was negotiated in a week-long session this summer following a fact-finder’s recommendation for the administration and union to return to a mediator for the talks. While a final vote count was unable to be revealed at the time of print, AFT 2121 Executive Director Chris Hanzo said that the vote had passed overwhelmingly. The three-year contract guarantees an 11.4-14 percent pay increase for faculty members, and will apply to both full-time and part-time faculty. Faculty have been working without a contract for over a year. During the long and contentious negotiations, both sides accused the other of unfair bargaining. The division between the two sides became most apparent during April’s faculty strike, the first time the union had ever gone on strike. In earlier negotiations, the administration had offered a 7.19 percent pay raise over two years. The union was initially in search of an 18.19 percent pay raise over three years. 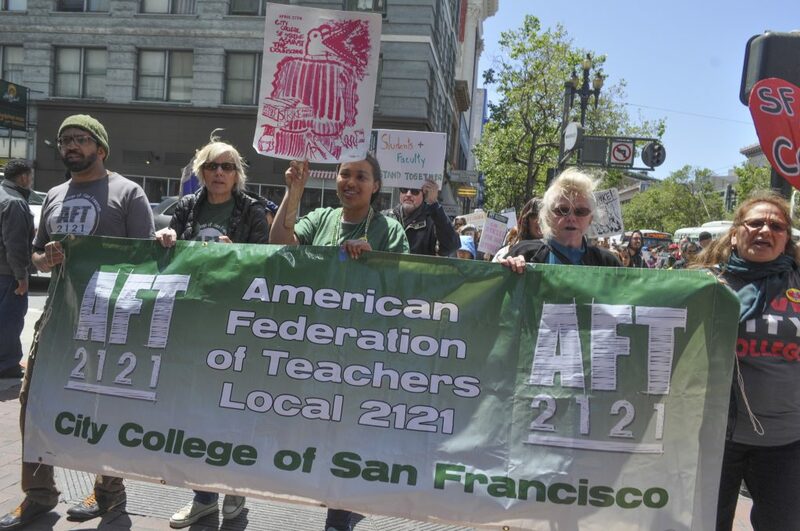 AFT 2121 considers the third year a huge win because it will protect faculty from salary cuts during the 2017-18 school year, when City College’s stabilization funding ends. The 2015-16 school year is technically the first year of the contract, meaning faculty will receive a retroactive pay increase for last year. A portion of the raise is based on enrollment contingencies. For every 500 full-time equivalent students enrolled above 2015-16 levels, faculty will receive an additional one percent increase. 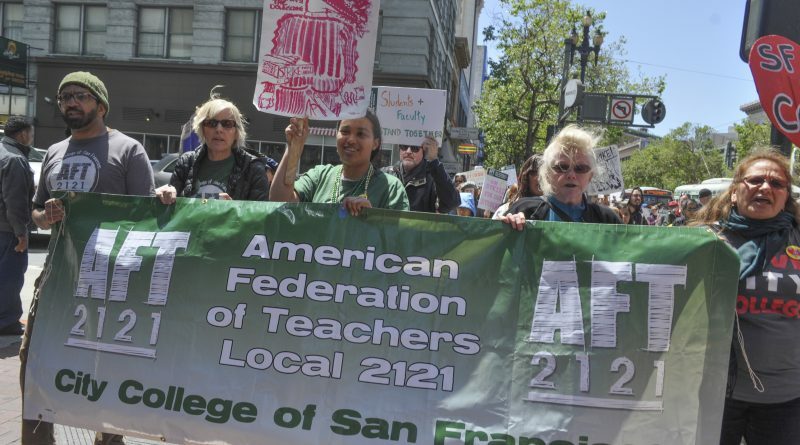 AFT 2121 felt comfortable moving forward with this clause, in light of the anticipated success of the Free City College proposal that will go in front of voters in November. Overall enrollment numbers are expected to spike if the free tuition proposal passes. City College Marketing Director Jeff Hamilton acknowledged the Chancellor’s office relief in being able to move forward following the contract negotiations. One of the biggest non-financial issues in the negotiations had been the District’s desire to be able to cancel classes that have low enrollment numbers. While the union was unable to lower class size minimums, they were able to stop a concession that would have made it easier for the district to cancel low-enrolled classes. Following the struggles of the past four years from the accreditation crisis to a special trustees board to labor negotiations, it appears most City College faculty will be starting the 2016-17 school year with at least a little more stability.